Unum’s accident insurance can pay benefits based on the injuries and treatments you sustain due to a covered accident, including fractures, dislocations, emergency room treatments and more. The benefit can help offset the out-of-pocket expenses that medical insurance does not pay, including deductibles and copays. Family coverage is available. A $50 wellness benefit is included (once per insured per calendar year). *This is a summary of coverage; please review your policy documents for complete plan benefits. The policy or provisions may vary or be unavailable in some states. The policy has exclusions and limitations which may affect any benefits payable. See the actual policy or your Unum representative for specific provisions and details of availability. The policy or provisions may vary or be unavailable in some states. The policy has exclusions and limitations which may affect any benefits payable. See the actual policy or your Unum representative for specific provisions and details of availability. 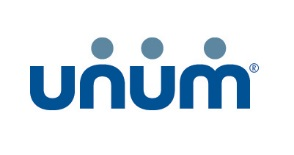 Unum is a registered trademark and marketing brand of Unum Group and its insuring subsidiaries. Unum complies with state civil union and domestic partner laws when applicable.